For those who pulled their tpi off to go carb. Any regrets ? I'm currently running a 355 tpi superramed 91 z28 but I'm really getting tired of all this tuning **** on my 730 ecm and about ready to yank off the superram and switch to a Holley carb. Money is not an issue since the superram is worth a chunk of change and the matching twin 58mm throttle body with two NOS plate setups. But what I want to know is from the guys who pulled their fuel injection to go carburetor have you regretted it and should I do it as well ? Re: For those who pulled their tpi off to go carb. Any regrets ? It all depends on the purpose of the car. I switched to carb, removed the a/c & heater. I also ditched the 700r4 trans for a 3500 converter / th350 trans. I did the skinny drag wheels in front and removed the front swaybar . Now i want to put it all back to enjoy the car more. but thats my story. Did I enjoy my racing time, yeah. 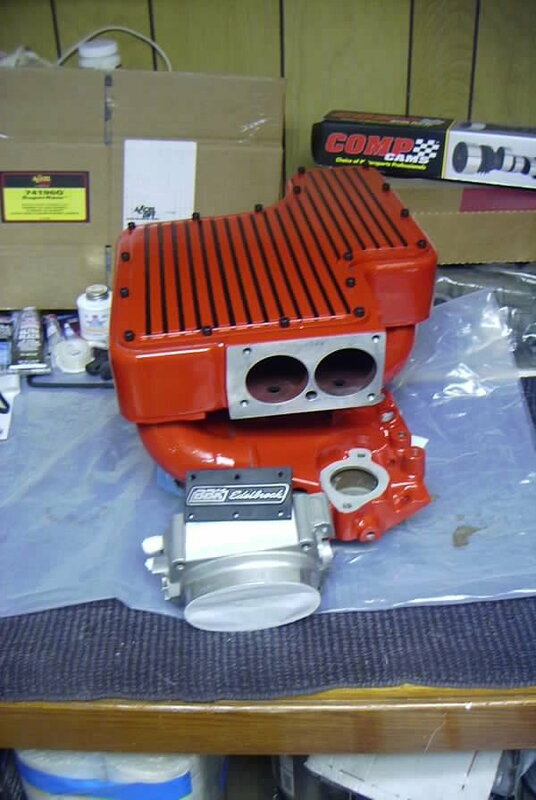 If you do decide to go carb, I can hook you up with a nice Holley 750 Street HP carb. Don't let the car beat ya!!! What tuning issues are you having? I'm following this as well.....to those who have gone with an aftermarket EFI.....what kind and how do you like it? I was thinking of a new Edlebrock Pro-Flo 4......thoughts?? I made that swap and was happy about it until I went to sell the car. Everyone turned their nose up at the idea of a carb swapped engine and I lost a ton of $. If I had left it stock I imagine I could have almost doubled my $ the car was so clean. It depends I guess if you are going to keep it and are happy with the carb and MORE power. But..if you sell it ..it will come back to bite you. I switched from a 305 TPI to a carb'd 383 and am already researching aftermarket efi systems. This must be one of those infinite scroll 1984 threads, no? Never looked back... or forward... whichever way you look at it. Elegance in simplicity. Engine: L98 with bolt ons. consider Rbob's dynamic EFI It uses the stock '730 ECU but adds a flash based board to replace the prom. I am one of those people... I assume one of two things when I see a car like this. 1. At some point in it's history, it had a problem that could not be resolved and the person thought it was easier to go to something they knew instead of taking on the challenge of actually correcting the issue. This is probably how the rest of the car was treated and other short cuts were made instead of items being done correctly. 2. Owner or a previous owner didn't understand fuel injection and wanted to hop it up and ripped everything apart and installed what they knew instead of doing research and building it the right way. Other items in the car have also probably been treated the same and shortcuts were taken. I never assume it was a well thought out plan. It is a used car that has probably had multiple owners and who knows what the actual reasoning was. You have to plan for the worst, even if you hope for the best. My brother dropped a 350 w/LT4 Hotcam in his TBI equipped RS. Couldn't seem to get the tune right so he went to a carb. It was a bit more of a different situation as we know the TBIs are not as desirable as TPIs, it had a rear end swap from a 2.73 Open to a 3.73 posi, ungraded brakes, 4th gen seats, built 700R4, new paint, cowl hood... and I could keep going on. The whole car had been changed. When he went to sell his car, the market for a hot rod RS is different than those for an IROC/GTA. Plus, it was all sorted and didn't have a lot of connectors and wiring hanging around, including the proper blower housing for removing the A/C. I believe it fit into a different market than opening the hood of an otherwise stock appearing car and discovering someone swapped in some random carb/intake/vacuum distributor. With that being said, this is 2019, not 1990. There is really no excuse to not find the information to get a fuel injection system to run properly these days. Plus multiple options to go with if you no longer want to stick with the factory system. We all know they are a much more efficient than carbs overall. Though, I think you have to consider the overall car when deciding if jerking the fuel injection off is the right thing to do. Some won't care, some will. Those who don't care are probably not the people that are going to pay top dollar for a nice car either. 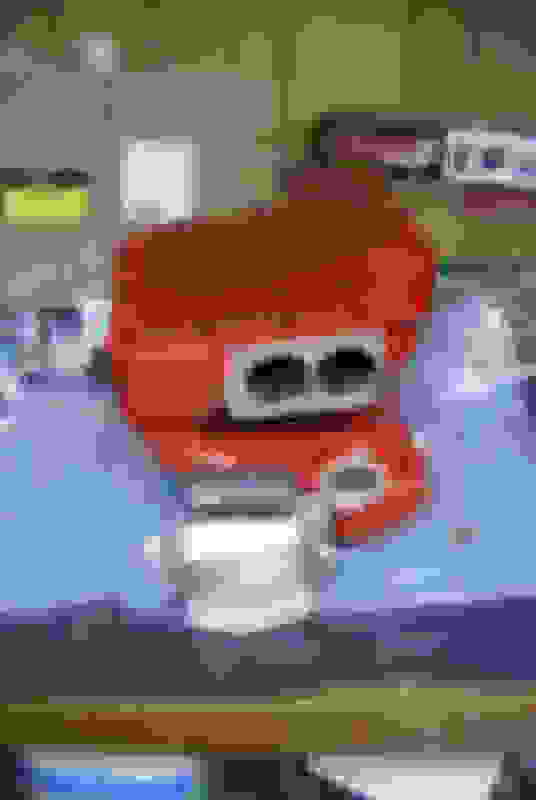 Last edited by KyleF; 02-08-2019 at 02:23 PM. The only other thing I'd consider (other then OEM TPI) would be installing a Holley HP EFI or Edelbrock Pro-Flow IV EFI system. to see what others do as well. Carb's are not power adders... they do not make more power. All things equal, they make less due to poorer fuel mixture distribution, produce more emissions by not being infinitely adjustable while driving, and get less fuel economy. As I said above, there is a difference in building power the right way. With a TPI it requires a short runner designed manifold to replace the long runners. This is usually more expensive than a carb. The only reason why you can say a carb makes more power than a TPI is because of the intake manifold change when you put the carb on. It will no doubt breathe at higher RPMs better than the factory runners/manifold does. I have to agree when I see a TPI swapped to carb for the sake of "old school" or more power you cna instantly infer it was most likely a hack job that makes less power, less MPG and was a result of someone not knowing how to work on a TPI car. Before I say this - I would never remove the FI on anything - I'm an experienced tuner, I own a 2000 HP DynoJet, and I have EBL TPI on my personal daily. But yes in some circumstances carbs can make more peak power than a TPI system - this stems from them being a wet manifold and the cooling benefits that come with it. A wet manifold at high flow rates is considerably cooler leading to a cooler, denser charge - this will make more power. This is of course not the case with TBI. But in the specific case of the dry manifold TPI system it is the case that a carb will make *slightly* more peak power. Engine Masters showed exactly this in a couple different episodes. If you could cool the TPI manifold or insulate it from engine heat the difference would be mitigated but I doubt there is any way to eliminate it entirely. EFI wins in every other way, and again the carb advantage over TPI certainly is very small and not worth worrying about. I would NEVER pull off a TPI system to install a carb. Very well stated and my thoughts exactly. I am swapping engines soon and initially was going from TBI to carb. I have changed my mind and will do the best I can do with the TBI its a very reliable and simple system I have grown to like. Not trying to make it a hot rod anyways I just prefer 350s and I want more than 170HP. I love TPI and its iconic on these cars. In saying that I can tell you two different occasions we took TPI systems off 350 cars and went to carb setups and the cars would run solid high 13sec 1/4 trips in comparison to low-mid 14s with the TPI setup. That's all I was saying. I love my Qjet. It's easy to work on, to diagnose, to tune etc. I've learned so much from tinkering with it. And I love the power I'm getting out of mine. Mind you, my car was originally Qjet equipped, and I'm the guy that would buy a new L69 car over a TPI car if given the choice back in the 80s. That being said, I wouldn't convert a TPI car to a carb. I would work out the bugs and get it running right. What sort of running issues are you having? What cam and heads are you running? Maybe we can help if you want to post up in the DIY PROM section? do you have a WB O2 hooked up? that cam is pretty wild at 242 duration @.050 (if I'm looking at the right one). you'll definitely need a WB to get it running properly. the other thing is I would start with the SAUJP bin as your start point and then change to open loop idle. you'll be able to precisely dial in your idle AFR to where the engine is happy. I got sick of fighting closed loop at idle with my Miniram. it likes to idle at about 13.5:1, and I could never get there with closed loop, nor get a decent throttle tip in. I'd also go the extra step of getting TP RT to read the WB. that'll help tremendously in tuning the off idle and WOT AFR. Yeah I bought a WB o2 setup with gauge. Have yet to setup the wideband output into tunerpro though. Was just told how to do it on another thread. It's a Innovate Motorsports 3918 MTX Series MTX-L Plus Wideband Gauge. What was recommended as a good setup to get. Any with regrets going TBI to carb? 11" rear rims any regrets? Quick Reply: For those who pulled their tpi off to go carb. Any regrets ?